On October 5, 1967 fourteen retired teachers met with Mr. H. W. Carr, Director pro-tem of the Central district of Ohio Retired Teachers Association, to discuss the organization of a Champaign County Chapter of ORTA. As a result, on November 2, 1967, a new chapter was formed. 28 retired teachers were present and Mr. Lewis Prine was elected President.Dues were fixed at $1.00 and remained so until 1987 at which time they were raised to $2.00. Dues are now $10.00 for local membership. The group met in various placed including homes of members, St. Paris Methodist Church, Urbana Methodist Church, Urbana Local School, Camp Shawnee, Graham High School, Ol'South Restaurant and Millner's Cafeteria. For several years now they have been meeting at the Urbana University. Programs have been as varied as the places they have met. On September 24, 1972, Friendship Day was enjoyed by 100 members and guests at Graham High School in celebration of the 25th Anniversary of RTA and the 5th Anniversary of Champaign County RTA. 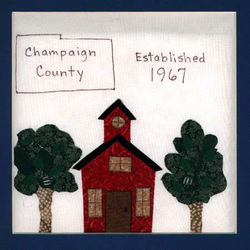 ​Special highlights include a donation to the historical society concerning records of the Champaign County Retired Teachers dating from 1892-1910. Earlier, Dale Heskett, one of the chapter's most active members and superintendent, had been honored by having a Cuyahoga County school named for him.